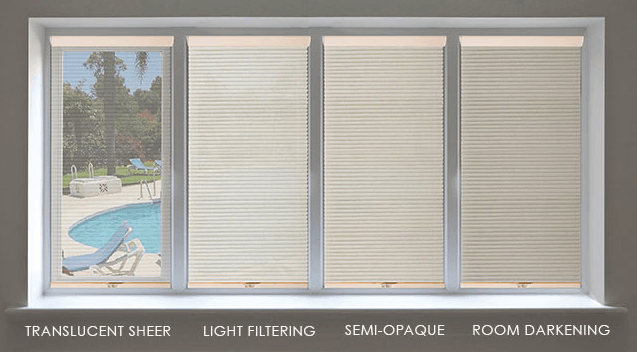 Select the amount of light that goes through – in four opacities: translucent sheer, light filtering, semi-opaque, and room darkening. Pick two fabrics for a day & night shade. Adjusts from the top and bottom – without cards in the middle. 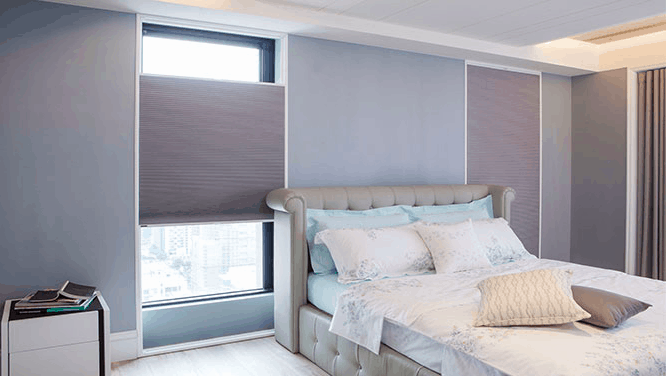 Sits closer to the window edge for less light leakage and a cleaner profile. Award-winning design for modern and streamlined style. Also great for french doors and skylights. 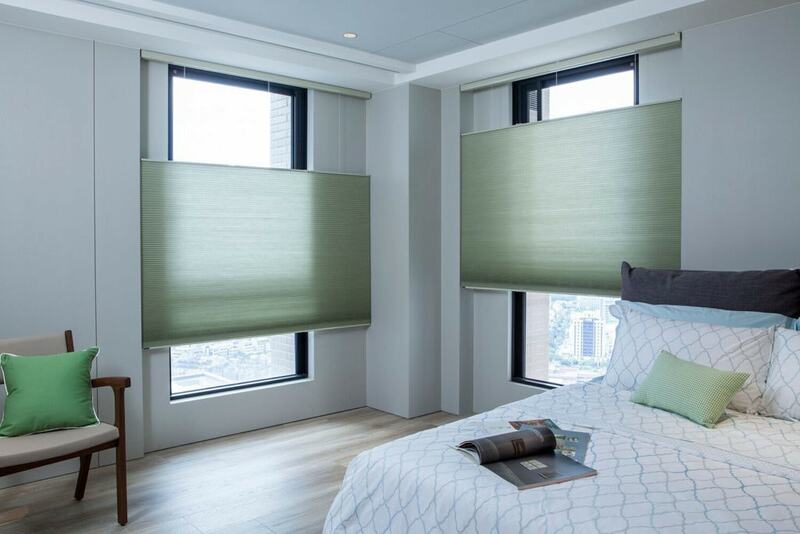 Like two shades in one, this unique solution allows you to select a sheer fabric and a room darkening fabric for the ultimate in looks and flexibility in light control. A custom frame. And an integrated cordless TDBU honeycomb shade. 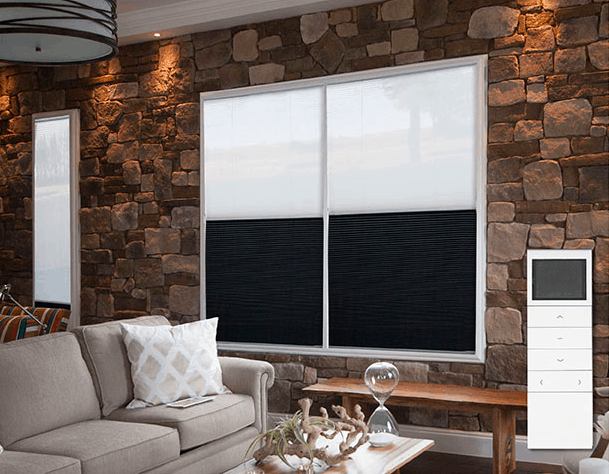 Decoflex™ blocks light from the sides and from behind. 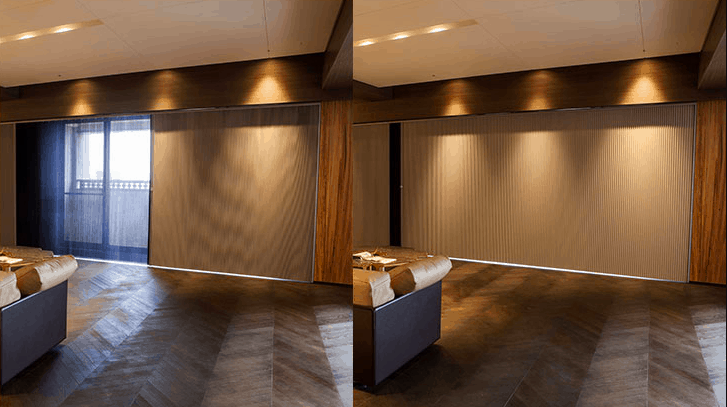 Great for french doors; Decoflex™ mounts directly onto the door, as if the shade was built into the door. Honeycomb automation made simple and affordable. Also comes in a day & night shade or top-down shade.